Not a whole lot to talk about to be honest. The trailer doesn’t show anything of the game itself, nor give us any real indication of what’s included either. In fact, in the entire video, all we can really gleam is that it’s got a fancy cartoon esque art style, the main characters return, it’s really hard and that 3-player couch co-op is included in some form or another. That’s not exactly much to go on, is it? Ah well, at least it exists. 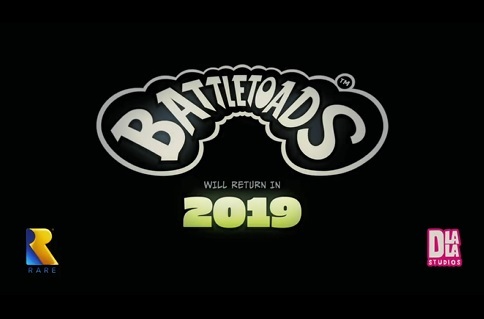 At least Battletoads is somehow seeing a new instalment in 2019. That shows that Microsoft cares for Rare’s past games and franchises, and give us hope that others like Banjo, Conker and Perfect Dark may be seeing their own ‘real’ comebacks in future too. So, hey, let’s hope this one does well first. Cause if it does, it could be yet more proof for Microsoft that bringing back Rare’s Ips is a profitable move for them and give hope to other classic franchises as well. Game Freak About to Announce New Game? HarmoKnight; A New Non Pokemon game from Game Freak?